Founded as American Tartaric Products, Inc. in 1991, the family owned, professionally managed ATPGroup is a leading supplier of specialty products, fine chemicals and production equipment to the wine, beer, food and pharmaceutical, and industrial markets across North America. Our strength in the industry is unparalleled. We are the only U.S. producer of Cream of Tartar and the largest supplier of Tartaric Acid and Rochelle Salt in the country. We've grown rapidly to become one of the premiere suppliers to the wine industry, and we're moving towards providing the same level of products and service to the brewing industry. The ATPGroup is proud to offer a full line of products and services, including chemicals, specialty winemaking and brewing supplies, equipment and technical expertise. Our comprehensive approach has made us an invaluable partner in the field. The ATPGroup is a premiere supplier to wine makers, juice processors and brewers across North America. We help our customers gain greater control and increase consistency in all aspects of production. We offer a full line of processing aids, cellar supplies, mobile services and equipment because our team of industry veterans understands the many environmental and processing variables our customers face, from to harvesting to bottling and all of the steps in between. To complement our product line, the ATPGroup's expert staff members are dedicated to the needs of today's wine maker and juice processor. Between engineers, product specialists, cellar masters and more, we offer collective industry experience of over 200 years. We welcome the opportunity to introduce you to our offerings. 1. Basic Cellar Chemicals - Citric acid, DE, Bentonite, Tartaric acid, etc. 2. Specialty Products - Enzymes, Yeasts, Nutrients, Bacteria, Tannins and consulting services. 3. Equipment -Micro-Oxygenation, Laboratory Equipment, Presses and Crusher/Destemmers, Filtration Equipment including Cross flow, pressure leaf, plate & frame and Rotovacs, Centrifuges, and Bottling Equipment, as well as expert service for everything we sell. The ATPGroup is very proud to be an industry leader and we value every relationship. Please call us for more information, we pride ourselves on our ability to serve customers both large and small and we hope to talk to you soon. The TMCI Padovan cross flow filtration system is extremely expandable and ATP has many units placed through out the West Coast. Our 5 year membrane warranty is second to none and we have many satified customers. New for 2009, ATP is now the US representative for Sietal Centrifuges in the wine industry. Several installations on the West Coast and several more coming soon. If you are considering a centrifuge please let us know, Seital is a highly specialized company that only produces centrifuges. They have many units already here in the US in other industries and are very well known outside the US. If you thought there were only one or two major players in this market , please take a look at Seital. They have proven themselves head to head against the competition in documented trials here on the west coast. Siprem International produces two very unique pressing systems, one of which is the Vacuum Press (VS series). By using vacuum instead of pressure the resulting effect is an extremely gentle press with yields similar to a conventional pneumatic press and quality similar or even better than a basket press. The second unique system from Siprem International is the Continuous Membrane Press (PCM series) which is not shown. This system is based around a pneumatic membrane pressing technology but it is continuous and the larger units are capable of running at up to 50 tons per hour...continuously! The Siprem PCM 400 press can press continuously at 50 tons per hour, think about it...thats a whole lot of grapes! But it is gentle like your current air press. We have mobile services too. Cross flow filtration and Lees filtration. Please let us know your needs. Our rates are good! Call Craig Garbo at 707-975-2583 for a quote. ATP is a premiere supplier to wine makers and juice processors across North America. We help our customers gain greater control and increase consistency in all aspects of production. We offer a full line of processing aids, cellar supplies, mobile services and equipment because we understand the many environmental and processing variables our customers face, from choosing the right grape to harvesting and bottling and all of the steps in between. Learn to recognize, understand, avoid and minimize wine defects! This full-day interactive course will provide an in-depth opportunity to learn about the 30 most frequent defects found in wines. With the tasting of 60 wines the attendees will be trained on each wine defect in both white and red wines. The apparition mechanism of each fault will be discussed as well as the ways to prevent and remove it. At the conclusion of each ½ day session there will be a practical case presented. Fee: $80 per attendee. Includes all tasting material, notes, light breakfast and lunch. Seating space is limited. Sign up now! Focus on yeast impact: study of the influence of fermentation conditions on kinetics, analytical parameters and their impact on wine organoleptic properties. Christophe is an Enologist (Reims, France) and Microbiologist Engineer (Marseille) by training. He has worked at Champagne Pommery and Lanson (attached at the INRA Montpellier), at the Interprofessional Committee for Champagne Wines (Microbiologist), at SOFRALAB (Technical Director of Development and Innovation). In 2003 he created INTELLI’OENO in order to be a consultant to help people create quality wine. He has 32 publications in the field and specializes in wine microbiology, sensorial analysis and sparkling wines. Anne has a master’s degree and engineering degree in agricultural sciences from SupAgro (Montpellier, France). She previously worked as a researcher in France and as an Oenologist in France and Washington State. She is now dedicated to bring technical support for the Fermentis products for the Western part of the USA and Canada. Winemakers give special attention to the color and flavor of their wines. Filtering wine is an important step in the final stages of winemaking to ensure a microbially stable and flavorful product. ATP Group offers Eaton’s BECO MEMBRAN PS Wine membrane filter cartridges, designed specifically for reliable removal of spoilage microorganisms from wine and sparkling wine with minimum impact on the flavors and aromatics. BECO MEMBRAN PS Wine filter cartridge are made of high-quality polyethersulfone membranes that combine long service life with full maintenance of valuable flavor and color of premium wines. Contact your ATP Group representative or visit www.atpgroup.com for more information. The asymmetric polyethersulfone membrane provides high microbiological retention and can be integrity tested. The high filter area and asymmetric membrane structure of polyethersulfone offers exceptionally high flow rates and outstanding service life. The special design allows for 72.5 psi (5 bar) differential pressure in the direction of flow and 29 psi (2 bar) differential pressure in reverse to support this long service life. The high thermal stability allows more than 100 steam sterilization cycles. Available in 0.45 and 0.65 µm, code 2 and 7 and length of 20" (500 mm) and 30" (750 mm). For other dimensions and retention ratings it can be complemented by BECO MEMBRAN PS Pure Range. Minimizes loss of valuable flavor and color in wines. ATPGroup can help with selection of the most economical combination of pre and final filter. WineLab Touch by CDR: This compact lab instrument is the only system on the market which allows for quick, accurate and cost-effective measurement of 25+ different wine and juice parameters from basic wine chemistry including VA, TA, pH etc. through more complex analyses including total phenolics. Featuring on-screen instructions and pre-measured analysis cuvettes the WineLab Touch gives any winemaker or lab technician quick, easy and cost effective results. 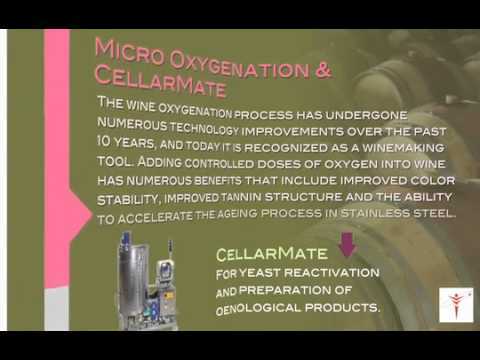 SAEn 4000 Micro-Oxygenation Systems by Parsec: These state of the art systems are programmed to use continual feedback and self-calibration to accurately dose oxygen by mass, not volume, to ensure your wine receives the oxygen you require. EVO1000 by Parsec for Precision DO/CO2 Management: This innovative solution offers fully automated or manual in-line adjustment of dissolved oxygen and carbon dioxide in wines without the risk of ‘blowing off’ delicate aromatics. The available integrated sensors ensure your desired DO/CO2 levels are achieved, automatically adjusting dosage and flow rates for maximum efficiency and reliability. This unit provides the best protection for your wines while loading and unloading tankers, transferring wines in the winery and allows for the most precise adjustment of gasses in solution on the way to the bottling line. The ATPGroup is proud to offer our comprehensive range for successful malolactic fermentations. Our range of highly effective Malo Plus freeze-dried cultures are an easy to use cost effective solution. Our unique production method introduces stress factors throughout the production process to ensure the highest level of activity upon inoculation into wine. With highly alcohol tolerant and low pH tolerant strains our Malo Plus and Malo Plus HA bacteria can cover all of your MLF conditions. For those looking for the aromatics and mouthfeel of moderate levels of diacetyl we offer our Malo D, and for increased complexity we have a multi-strain version, Malo Multi. The best strategy for effective completion of your MLF is combining the strength of the Malo Plus range with our Malo Detox and Malo NutriBact ML nutrients. Used before inoculation of the ML culture, the Malo Detox reduces toxins naturally present following primary fermentation. The unique formulation of Malo Detox also reduces the populations of other competing microorganisms, paving the way for the best possible environment for your Malo culture. Just before inoculation consider our Malo NutriBact. Specially formulated of natural yeast derivatives and micronutrients, Malo Nutribact will promote fast, complete MLF especially in wines with high levels of stress factors. Contact one of our Wine Industry offices in Windsor, California (707-836-6840) or Paso Robles (805-237-1223), visit our website at www.atpgroup.com or check in with your Winemaking Technical Representative for more info! The Weather is Going Nuts! Heat, Rain, What's Next? Even in the most consistent wine growing areas nature can occasionally throw an unexpected curve ball. When conditions including excessive heat, under ripe grapes, various molds and mildews and high incidents of stuck fermentations occur, you can rely on the expertise of ATPGroup’s team of winemakers and technical specialists to help! In white juice, ATPGroup’s Gallic-Tan is a strong first step in eliminating the laccase and polyphenol oxidase enzymes which cause premature oxidative character. In red wines our Color-Tan, a blended tannin containing a gall tannin component, is a multi-purpose solution inhibiting these enzymes, stabilizing color and at higher dosage helping enhance structure. For Juice settling, nothing beats our Zyme-o-Clear Plus to help speed clarification and improve lees compaction. Combine the Zyme-o-Clear Plus with our proprietary PVPP/Bentonite/Protein blend, Phenol-Fine Plus to handle oxidized and oxidizable polyphenols, removing browning and helping prevent future oxidative color development. This allows racking clean juice off of dirty lees quickly to reduce the risk of moldy characteristics. For any off-aromas or colors that remain, try our S-51 deodorizing and 325 Ultra decolorizing carbons! For mouthfeel in white wines our Springcell Manno will give you richness roundness without the potential complications of residual sugar. The Springcell Color has similar effects in reds, with the added benefit of green character masking and increased color stability. Without using skin-contact pre-press enzymes you can still optimize your aromatics by using the glutathione boosting Springarom at mid fermentation and our Zyme-o-Aroma Plus aroma releasing enzyme to finish things off. These two steps will maximize the aromatic potential of your wines while protecting delicate aroma compounds from oxidation. For microbial stability count on our Vin-Lyso to inhibit MLF in stuck/sluggish fermentations and in wines where MLF is simply undesirable. Last but not least, where residual glucans and pectins are causing headaches with filtration, our Zyme-o-β beta-glucanase blend enzyme is the ultimate treatment for enhancing filterability. For more information on how ATPGroup can help with challenging winemaking conditions and recommendations on dosage rates please contact your Technical Representative or visit www.atpgroup.com. Convenient, Secure Fermentation with Fermenis' "Easy to Use"
Focusing on fermentative power and ease of use, ATPGroup introduces Fermentis’ latest development in yeast nutrition, ViniLiquid! ViniLiquid is a highly autolysed liquid yeast preparation combining the benefits of yeast derivatives and pure yeast hulls. The completely solubilized liquid format allows for easy, accurate dosing, immediate and complete integration in the juice/must when gently mixed and no dust or inhalation hazards! Fermentations with ViniLiquid completed to dryness over 40% faster than DAP alone, and over 10% faster than equivalent yeast derivative/pure hulls added in powder form. This decrease in the amount of time necessary for the fermentation is achieved without a dramatic initial increase in kinetics, so ViniLiquid actually causes lower temperature spikes and less foaming than using DAP. The more consistent curve at the end of fermentation is a result of ViniLiquid’s efficiency in promoting cellular regrowth and viability when compared to DAP or powdered nutrients. For the ultimate in convenience and fermentation security, combine the ViniLiquid with one of Fermentis’ Easy 2 Use certified yeasts. Thanks to an update to the production process, Fermentis’ Easy 2 Use yeasts require no special handling at rehydration. Simply rehydrate in cold (chlorine free) water or add directly to the tank dry! The Easy 2 Use yeasts will have the same fermentation kinetics and organoleptic qualities either way. Contact your ATPGroup Enology Product Specialist or visitwww.atpgroup.com for more information. Bio-Cool Inhibited Propanediol(PDO) is the next generation of renewable heat transfer fluid solutions. This fully-formulated propylene glycol replacement product is manufactured from a 100% renewable biobased stock source. This production method results in a significant reduction in greenhouse gas (GHG) emissions and non-renewable energy consumption during the manufacturing process over conventionally made propylene glycol. Recent studies have shown the savings during the manufactuing process to be 40% or more versus traditional oil-based proplyene glycol. The GREEN technology benefits of this product include use of a renewable/sustainable product, significant reduction in GHG during production lowering the carbon footprint, as well as potential LEED innovation credits. It is nontoxic and approved for food contact applications. The physical properties of the Bio-Cool PDO also offer significant in-system advantages over traditional propylene glycol (PG). For example, even with superior heat transfer capabilities, Bio-Chill has a viscosity profile which is much lower than that of PG. This means less stress on pumps and transfer systems, which lower the amount of maintenance and repairs necessary, as well as lowering energy use during chilling. These factors contributed toBio-Cool Inhibited Propanediol earning the BioPreferred® designation from the USDA. Bio-Chill PDO is also compatible with existing PG filled systems as a ‘top-off’ product. Recommended operating temperature range of -50°F to 275°F when mixed with appropriate water concentrations. Introducing the Oxylevel 2200 by Parsec. This isnot your typical DO meter. In fact, the Oxylevel 2200 allows for continuous monitoring in line, in bottle and in tank in both air and wine to parts per billion (ppb) levels. The Oxylevel 2200 can even measure DO in wine bottles without having to open them with Parsec’s “DOT” technology. Since the oxygen is not consumed during measurement this results in the most precise measurement of DO pickup in the bottling process, and presents winemakers with the additional option of measuring the oxygen in the headspace as well as the wine. The “DOTs” are affixed to the inside of the bottle, which can be reused to test line performance throughout the run. The Oxylevel 2200 has two sensor ports, which gives winemakers and cellar masters the opportunity to directly monitor in line any cellar operation such as racking, filtration etc. and accurately compare dissolved oxygen before and after. The “DOTs” can be affixed in-line to sight glasses to permit periodic monitoring of processes and movements across longer distances. The second sensor port can also be used for pH or conductivity (specific probes required), useful in blending or when switching products in process. Over 2000 data points can be stored at one time and downloaded to PC for complete analysis. The robust stainless steel construction of the unit and accessories and reliable, reagent-free optical probes combined with built in rechargeable battery make this an ideal system for both bench top and real-time cellar measurements. Please contactenology@atpgroup.com or visitwww.atpgroup.com for more information. Introducing the next innovation in juice and wine analysis: WineLab Touch by CDR, exclusively distributed by ATPGroup. See it in action in our booth at WiVi! This intuitive, comprehensive system is easy to use, reliable, offers fast turn-around of analysis and requires no specialized training to operate. Thanks to the temperature controlled cuvette ports results are accurate and consistent. The pre-measured, factory calibrated analysis cuvettes come ready to use, there is no need for generating standard curves or other complicated calibration procedures. Just follow the on-screen, step by step pictographic instructions and have results in minutes! The WineLab Touch kit also comes with the necessary micropipettors, so there is no need for any additional labware. Results are stored in the device memory and printed using the integrated printer. They can also be exported to a USB drive or computer. The WineLab Touch can perform tests for multiple different analytes (one test per cuvette). Tests include all basic wine chemical analysis such as T.A., pH, SO2, VA, and Alcohol, as well as advanced tests such as Total Phenolic Index, Anthocyanins, YAN, RS, L-MA, Acetaldehyde, Copper and Glycerol. In all, 25 tests are currently available. The system also allows for the addition of new analyses currently under development by CDR’s research team. These new analyses can be added to the WineLab Touch via easy to apply software updates. For more information contact your ATPGroup Enological Products Specialist, email winelab@atpgroup.com or visit www.atpgroup.com. Dynamos High Solids Cross Flow wins 2017 IQ Innovation Award! 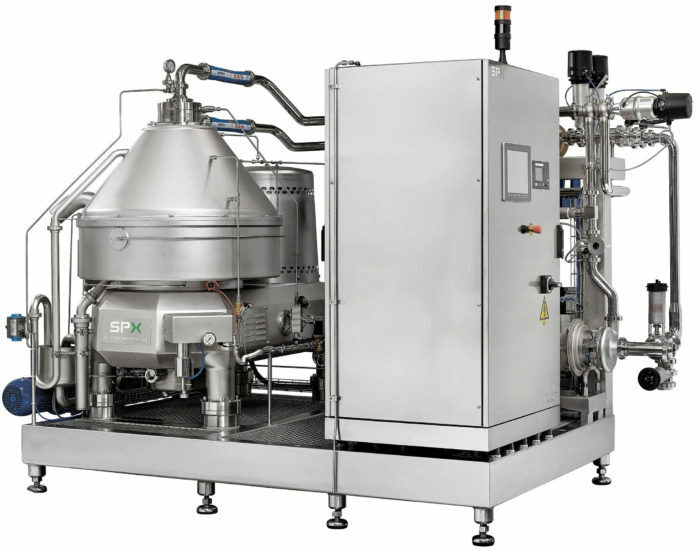 Dynamos High-Solids Cross Flow by TMCI Padovan: This award winning patented system allows for the recovery of high-quality juice and wine from lees, float tops, cross-flow retentate and more, concentrating to 80%+ solids. The Dynamos eliminates the need for diatomaceous earth in high solids processing while ensuring minimal oxygen and temperature pickup. The quality of the filtrate makes blending into the source wines seamless reducing losses and maximizing yield. Available in sizes ranging from 1m2to 80m2+, there is a Dynamos model to meet your winemaking needs! EVO1000 by Parsec: This state-of-the-art system offers fully automated or manual in-line adjustment of dissolved oxygen and carbon dioxide in wines without the risk of ‘blowing off’ delicate aromatics. The available integrated sensors ensure your desired DO/CO2levels are achieved, automatically adjusting dosage and flow rates for maximum efficiency and reliability. This unit provides the best protection for your wines while loading and unloading tankers, transferring wines in the winery and allows for the most precise adjustment of gasses in solution on the way to the bottling line. WineLab Touch by CdR: This compact lab instrument is the only system on the market which allows for quick, accurate measurement of 30+ different wine and juice parameters from basic wine chemistry including VA, TA, pH etc. through more complex analyses including total phenolics. Featuring on-screen instructions and pre-measured analysis cuvettes the WineLab Touch gives any winemaker or lab technician quick, easy and cost effective results. Come by the booth where we will be demonstrating how quick and easy the system is. EVO1000 by Parsec: This state-of-the-art system offers fully automated or manual in-line adjustment of dissolved oxygen and carbon dioxide in wines without the risk of ‘blowing off’ delicate aromatics. The available integrated sensors ensure your desired DO/CO2 levels are achieved, automatically adjusting dosage and flow rates for maximum efficiency and reliability. This unit provides the best protection for your wines while loading and unloading tankers, transferring wines in the winery and allows for the most precise adjustment of gasses in solution on the way to the bottling line. 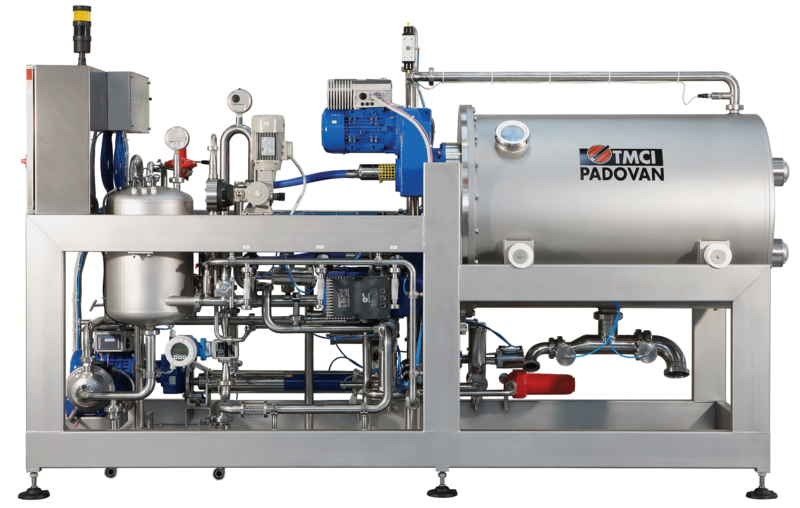 Dynamos High-Solids Cross Flow by TMCI Padovan: This patented system allows for the recovery of high-quality juice and wine from lees, float tops, cross-flow retentate and more, concentrating to 80%+ solids. The Dynamos eliminates the need for diatomaceous earth in high solids processing while ensuring minimal oxygen and temperature pickup. The quality of the filtrate makes blending into the source wines seamless reducing losses and maximizing yield. Available in sizes ranging from 1m2 to 80m2+, the fully automated Dynamos “D5” 5m2 unit will be on display at the UWGS. 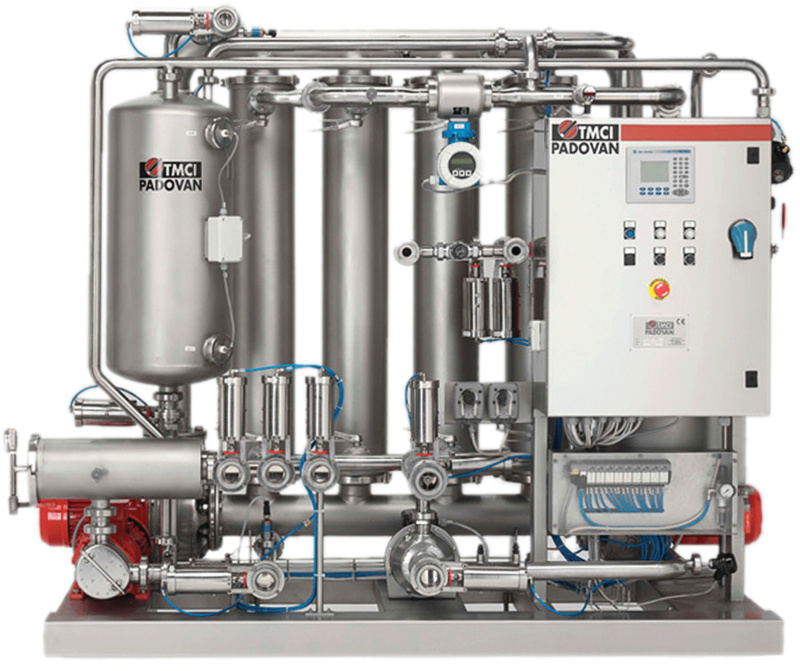 Nitor SMART Cross Flow by TMCI Padovan: The SMART series takes the proven technology of the full-sized Nitor XL cross flow systems and with the SMART80 80m2 unit, on display at the UWGS, packs it into the smallest footprint/m2 crossflow available. Featuring a unique ‘scavenger’ system the SMART filters offer high throughputs with along with the lowest losses of any competitive system. Forming the core of the ATPGroup Mobile Filtration Services fleet for the past three years these filters are reliable, robust, flexible and operator-friendly. Wineries facing increasing pressure to reduce costs while maintaining quality continue to discover the value of using oak alternatives including tannins, chips and staves along with a program of Micro-Oxygenation during ageing. The state of the art Parsec Micro-Oxygenation systems are programmed to use continual feedback and self-calibration to accurately dose oxygen by mass, not volume. This ensures that your wine receives the precise amount of oxygen needed. These systems are available for wineries large and small, with options ranging from single output portable units through complete cellar PC network controlled automated systems. Heinrich Oak Alternatives are available in French or American Oak in toasted or untoasted options as powder, chips or tank staves to enhance the character and complexity of your wines. Tannins for use in finished wines offer winemakers the opportunity to improve texture and structure, mask green characteristics, improve aromatic complexity and recapture freshness. ATPGroup has you covered with our high quality cost effective custom range of grape derived, oak derived and blended maturation and finishing tannins. In red wines select the Tani-Structure or Tani-Complete to build mouthfeel for longer aging independently or in conjunction with micro-oxygenation. The Querca-Tan Rouge, Querca-Tan UT, Tani-Grape and Cherry Tan are excellent options to smooth out gaps and fine tune the palate. For aromatic complexity our Querca-Tan VN and Querca-Tan MK offer profiles of rich spicy and sweet oak. Tannins can also play a beneficial role in finished white wines due to their high anti-oxidant properties. Low doses of our Querca-Tan Blanc or Querca-Tan UT help keep whites fresh, maintaining bright vibrant flavours and aromatics especially when stored in tank. Properly applied, tannins used in finished whites can even help reduce the overall levels of sulfur dioxide required! ATPGroup’s team of experienced winemakers and enologists is always available to help design a custom program of oak alternatives, tannins and micro-oxygenation to fit your winemaking style and budget. Contact one of our offices or your Technical Representative today for more information or trial samples! Windsor CA office: (707) 836-6840, Paso Robles office: (805) 237-1223 or visitwww.atpgroup.com. ATPGroup will be in at the 2017 Unified Wine & Grape Symposium in Booth “J1” in the main exhibit hall under the ATPGroup Banner. Now available exclusively from the ATPGroup, Bio-Cool Inhibited Propanediol (PDO) is the next generation of renewable heat transfer fluid solutions. This fully-formulated propylene glycol replacement product is manufactured from a 100% renewable biobased stock source. This production method results in a significant reduction in greenhouse gas (GHG) emissions and non-renewable energy consumption during the manufacturing process over conventionally made propylene glycol. Recent studies have shown the savings during the manufactuing process to be 40% or more versus traditional oil-based proplyene glycol. The GREEN technology benefits of this product include use of a renewable/sustainable product, significant reduction in GHG during production lowering the carbon footprint, as well as potential LEED innovation credits. It is nontoxic and approved for food contact applications. The physical properties of the Bio-Cool PDO also offer significant in-system advantages over traditional propylene glycol (PG). For example, even with superior heat transfer capabilities, Bio-Chill has a viscosity profile which is much lower than that of PG. This means less stress on pumps and transfer systems, which lower the amount of maintenance and repairs necessary, as well as lowering energy use during chilling. These factors contributed to Bio-Cool Inhibited Propanediol earning the BioPreferred® designation from the USDA.Bio-Chill PDO is also compatible with existing PG filled systems as a ‘top-off’ product. For more information on this revolutionary new environmentally friendly and efficient heat transfer solution contact one of the ATPGroup Wine Industry offices in Windsor or Paso Robles CA, visit our website www.atpgroup.com, or contact your ATPGroup sales representative. The ATPGroup is proud to offer our comprehensive solution packages for successful malolactic fermentations. Start with selecting from our range of highly effective Malo Plus freeze-dried cultures, which are an easy to use and cost effective solution. Our unique production method introduces stress factors at key times to ensure the maximum possible level of activity upon inoculation into wine. With high alcohol tolerant and low pH tolerant strains our Malo Plus and Malo Plus HA bacteria can cover all of your MLF conditions. For those looking for the aromatics and mouthfeel of moderate levels of diacetyl we offer our Malo D, and for increased complexity we have a multi-strain version, Malo Multi. Next, combine the strength of the Malo Plus range with our new Malo Detox and Malo NutriBact ML nutrients in the best strategy for effective completion of your MLF. Used before inoculation of the ML culture, the Malo Detox reduces toxins naturally present following primary fermentation. The unique formulation of Malo Detox also reduces the populations of other competing microorganisms, paving the way for the best possible environment for your Malo culture. Just before inoculation consider our new Malo NutriBact. Specially formulated of natural yeast derivatives and micronutrients, Malo Nutribact will promote fast, complete MLF especially in wines with high levels of stress factors. The ATPGroup and Siprem International have some interesting news about presses……. If you thought that a basket press was the most gentle system available for high quality reds, you might be surprised by the following information. Over the past few harvests, ATPGroup conducted trials using the Siprem International Vacuum Press system. The trials were designed to test the performance of a 50 hectoliter Siprem Vacuum Press versus well known basket pressed….including the very expensive ones! In each trial we divided the pomace from single large tanks after fermentation evenly between the Siprem Vacuum press and the available basket press. The yields (including free run) were as expected, with the Siprem Vacuum Press yielding 12 - 15% more volume (including free run). Nothing unusual there, as yields on bladder presses are generally expected to be higher than basket presses in nearly every situation, but that’s 20+ gallons per ton better than the basket press. The sample from the Siprem Vacuum press showed data that was as good as the basket press results in each and every one of the analyses. Moreover for the Total Phenols the Siprem numbers were significantly lower than the basket press. So with 12-15% higher yields from the Siprem Vacuum press and with wine quality at least as good as the basket press we hope you consider the Siprem system for your new press requirements. These units are specifically targeted to wineries requiring Ultra Gentle processing and offer the added benefit of processing whites and reds, possibly reducing the need for separate systems for handling both. All Siprem Vacuum presses are also available with inert gas systems and with gas recovery systems. We will also be happy to provide details of the US and international references for these systems. Siprem Air and Vacuum Presses Available For Immediate Delivery!!! Take Advantage of Symposium Pricing with Siprem and ATPGroup! Take Advantage of Symposium Pricing as ATPGroup Makes Room for 2016 Equipment!!! -Skid-mounted design, with no placing into concrete! Save Time, Money, and Tank Space with Floatation Instead of Cold Settling!!! Save time, money and tank space with floatation instead of cold settling! By using a pump and pressure chamber to raise the pressure of the juice, and then releasing it to atmosphere, microscopic gas bubbles (either inert gas of choice, or atmospheric air via Venturi) are produced, which lift the solids of the must to the surface. Solids can then be either removed with a vacuum skimmer on our continuous system, or racked from the top of the clean juice, which sinks to the bottom of the tank on our batch system. Clarity of juice can be manipulated by speed of pump or resonance time. Either way, the clean juice is immediately ready for fermentation, as opposed to wasting time and energy costs waiting for solids to precipitate to the bottom of a cold tank. Solids generated are processed the same way that the winery would typically handle them: lees filter, rotovac, or the fantastic Dynamos High-Solids Crosssflow from Padovan. Bottom Line: Energy Savings, Time Savings, Headache Savings!!! Contact one of our Wine Industry offices in Windsor, California (707-836-6840) or Paso Robles (805-237-1223). High Solids DYNAMOS Crossflow is Now a Realization! The Padovan Dynamos high solids crossflow continues to amaze. Capable of filtering your most difficult products, including products loaded with carbon, bentonite, and PVPP, the machine is a workhorse that is a necessary addition to any high-end winery or custom crush facility that requires added value to finished product. 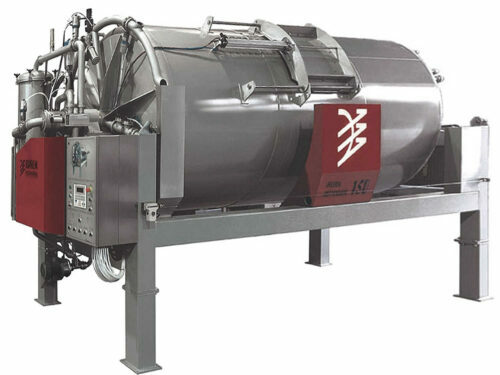 Able to handle anything that you would typically send to your rotovac, DE plate-and-frame, DM, or even down the drain, this machine is capable of taking product that would be usually be dropped down a tier due to poor quality and raising it up and being blended back in to the original blend. Using a high-end ceramic filter media, we are able to do STERILE FILTRATION on solids above 80%!!! The filtrate could, itself, be sent straight to bottling. Antithetical to any normal filtration, the unit actually prefers higher solids content, and the ROI on these machines is much quicker than much of the equipment in your winery already. It truly is a revolution and most certainly the filter of the future. Give us a call today to discuss a trial or to answer any of your questions! High Solids DYNAMOS Crossflow is Now a Realization! Move Towards the Best Brand in the Business, and Get the True Value of Your Wine! ATP's Fermentation Tannins: Adding Value to Red and White Wine Programs!!! Fermentation tannins are an integral part of any quality wine production strategy. In red ferments ATP’sColor-Tan helps stabilize color and promotes a broader, smoother tannin profile. In conjunction with ourTani-Grape it also can help build structure in lots where nature forces picks before full maturity. ATP also offersColor-Tan NT, specifically formulated for reds produced usingflash détente. In vintages with mildew, botrytis and other molds the applications ofColor-Tan in reds orGallic-Tan in whites are parts of effective laccase management strategies. ATP’s fermentation tannins are available as quick-dissolving powders, with theColor-Tan andColor-TanNT also available as liquids for ease of application. As with all of ATP’s specialty enology products we are confident you will find our tannins the best combination of quality and value available. Contact one of our Wine Industry offices in Windsor, California (707-836-6840) or Paso Robles (805-237-1223) or your Fermentation Sciences Specialist for more info! Contact one of our Wine Industry offices in Windsor, California (707-836-6840) or Paso Robles (805-237-1223) or your Technical Representative for more info! Need a Small Press for Harvest? We've Got You Covered! Still looking for a small press this close to harvest and time running out? We have your solution! We still have one ,14hL new press on our floor that we are ready to move immediately! Pre-programmed press cycles that can be altered or amended to fit your specific press programs as well, and a hopper too, should you require. Manufactured by the number one press supplier in Italy with a fantastic reputation, the Siprem line of crush pad equipment is second-to-none! Ready for immediate delivery from our warehouse in California, with local support and spare parts. For more information, please contact Rob Schuberg at (209) 810-3948, orrob@americantartaric.com. A completely natural and highly effective fermentation activator made to benefit from both soluble & insoluble parts of degraded autolyzed yeasts. The soluble part contains a pool of amino acids, supplying the yeast with an abundance of available organic Nitrogen. The insoluble yeast hulls improve the nitrogen supplement efficiency. ATP is Proud to Introduce the Seital Line of Centrifuge Separators! · Several hundred units in operation in the U.S.
Also, these units come in many different sizes, from the small production facilities to large, as opposed to being left with only a few sizes that may not meet your needs! We have hundereds of units installed worldwide and would be happy to provide references upon request. Give us a call today to answer all of your questions! Make the Clear Decision - Switch to 100% Cellulose BecoPads from Begerow! Make the move that intelligent winemakers throughout the industry already have: switch from your old standard DE filter sheets to the innovative BecoPad. BECOPADS ARE 100% CELLULOSE, meaning there is no DE to impart off-flavors, savings on water to flush the pads prior to filtration, and 100% biodegradeable! You can literally place them right into your compost piles. Along with this, their cellulose composition allows for 30% MORE THROUGHPUT, AND 90% LESS DRIP, so you preserve your valuable wine while extending cycle times. They can also be backwashed and have no color absorption. People that make the switch simply do not go back to what they were using before! And BecoPads are made in 13 different grades, from 5 to 0.1 miccrons. Make the clear decision and move to BecoPads today! Time to replace your bladders in your presses? Replace this year with Bartlett Membranes! Bartlett 2015 bag is even stronger than last year because of their new material. Barlett is an Australian company that specializes in one thing, and one thing only: fabrics. So you know that they know their stuff when it comes to material strength and durability. Bartlett membranes have been proven in studies to be stronger than other OEM bladders as well as after-market membranes. The unique Eurythane material along with a newer, stronger weave, provides reliable presses year after year. In fact, Bartlett membranes are guaranteed for 3 years! Along with that reliability, each bag is supplied with a patch kit and a DVD showing how to mend any small holes that may come along. This combined with the second-to-none service from ATP and Bartlett makes the decision to go Bartlett easier than ever before. We have measurements for nearly every membrane in the market, and if we don't, we can have a representaive out quickly to get them measured. Membranes are carried in-stock in our Paso Robles and Windsor warehouses, so supplying you on the spot is quick and painless. Call today to place your order for this year! ATP is proud to present a cutting edge development in wine fining: Spring’Finer by our Yeast partner, Fermentis. Spring’Finer is an all natural, non-GMO, non-allergenic fining agent derived from specially selectedsaccharomyces cerevisiae yeast. The unique process developed for this product isolates and preserves the natively occurring high molecular weight proteins which are highly effective in clarification, precipitation of the most astringent and bitter tannins and removing oxidizable polyphenols. This range of application makes it a perfect choice for fining juice and red or white finished wines as a replacement for casein, albumin and other proteins requiring allergen labelling. It is a totally soluble, easy to use micro-granulated fining agent requiring no pre-treatment other than dissolving in water prior to use. After fining, the lees resulting from Spring’Finer use are thick and compact, reducing wine losses at racking. For more information on this unique, revolutionary fining agent please contact one of ATP’s offices or your Technical Representative. Tannins for use in finished wines offer winemakers the opportunity to improve texture and structure, mask green characteristics, improve aromatic complexity and recapture freshness. ATP has you covered with our high quality cost effective custom range of grape derived, oak derived and blended maturation and finishing tannins. Tannins can also play a beneficial role in finished white wines due to their high anti-oxidant properties. Very low doses of our Querca-Tan Blanc or Querca-Tan UT help keep whites fresh, maintaining bright vibrant flavours and aromatics especially when stored in tank. Properly applied, tannins used in finished whites can even help reduce the overall levels of sulfur dioxide required! Contact one of our offices or your Fermentation Sciences specialist today for more information or trial samples! Windsor CA office: (707) 836-6840, Paso Robles office: (805) 237-1223. Switch to BecoPad Filter Sheets for Your Wallet and Your Wine! Replace Your Lost Press Membranes for Next Year with Bartlett Today! Time to replace your bladders in your presses? Replace this year with Bartlett Membranes! Bartlett 2014 bag is even stronger than last year because of their new material. Barlett is an Australian company that specializes in one thing, and one thing only: fabrics. So you know that they know their stuff when it comes to material strength and durability. For pricing or to have your questions answered, call your representative today, or click on the button below! With the cost of quality oak barrels constantly on the rise more and more wineries are discovering the value and quality of using oak alternatives such as chips and staves along with a program of Micro-Oxygenation during ageing. Parsec Micro-Oxygenation systems are programmed to use continual feedback and self-calibration to accurately dose oxygen by mass, not volume, to ensure your wine receives the oxygen you require. Contact one of our Wine Industry offices in Windsor, California (707-836-6840) or Paso Robles (805-237-1223) or your Fermentation Sciences Specialist for more info! The amount of bound, non-volatile aromatic compounds in many white grape varieties exceeds the volatile free aromatics by upwards of five times. In order to optimize the release of these bound aromatics ATP recommends our Zyme-o-Aroma Plus liquid enzyme. This glycosidase enzyme specifically targets bound terpenes in varietals such as Muscat (Moscato), Riesling and Gewurztraminer. Sensory analysis of trials in Sauvignon Blanc have also shown increases in the overall aromatic profile of that variety. Added towards the end or just after fermentation Zyme-o-Aroma Plus has the added advantage that it can be bench trialed in your lab to determine the ideal dosage for your specific aromatic stylistic requirements. Contact one of our Wine Industry offices in Windsor, California (707-836-6840) or Paso Robles (805-237-1223) or your Fermentation Sciences Specialist for more info! Improved Bartlett Replacement Membranes Now Stronger Than Ever! ATP is proud to offer our range of Malo Plus ML Bacteria. These highly effective freeze-dried cultures are an easy to use cost effective solution. Our unique production method introduces stress factors throughout the production process to ensure the highest level of activity upon inoculation into wine. With highly alcohol tolerant and low pH tolerant strains our Malo Plus range of bacteria can cover all of your MLF conditions. For those looking for the aromatics and mouthfeel of moderate levels of diacetyl we offer our Malo D, and for increased complexity we have a multi-strain version, the Malo Multi. Our Malo Plus strains are also appropriate for use in a co-inoculation strategy, please call for details. Research involving wine quality and fermentation kinetics over the last few years has changed the focus on nutrition from using a purely mineral source to an emphasis on the importance of including an organic, amino nitrogen source in any yeast nutrition regimen. ATP's fully TTB & export authorized nutrient Bioferm is 100% organic, rich in amino acids and naturally occurring vitamins and minerals. The completely yeast derived highly soluble amino acids in Bioferm provide both immediate and long term nutrition, minimizing the risks of H2S, VA and stuck/sluggish fermentations. Because Bioferm is a pure product and free of fillers it is an exceptional value, especially on a per dose basis. When used in conjunction with DAP it allows winemakers to take advantage of the positive aspects of both organic amino nitrogen and mineral nitrogen. Since many blended 'complex' nutrients derive 85% or more of their total YAN value from DAP using Bioferm plus DAP also represents an overall nutrient cost savings of 50% or more versus the blended products. As a result of the performance and cost benefits using Bioferm at a rate of 1.5 - 2 #/1000 gallons and achieving YAN targets by supplementing with DAP has become a foundation of many of our clients' yeast nutrition regimens. If you have any questions or would like some industry references please let us know, or CLICK HERE to read more. 100% Cellulose (biodegradeable) Filter Pads from Begerow! Take the next step to advancing your depth filtration and make the switch to Becopad! Traditional pneumatic presses from Siprem International come built to last. Numerous units in operation in the US for many years. Simple to use and reliable, they are backed by a full US inventory of replacement parts. Available in sizes from 8hl to 400 hl. Smaller units are self contained with built in air compressor. Fully PLC controlled with touch screen. Very simple and flexible to operate. Fully automatic washing system available. 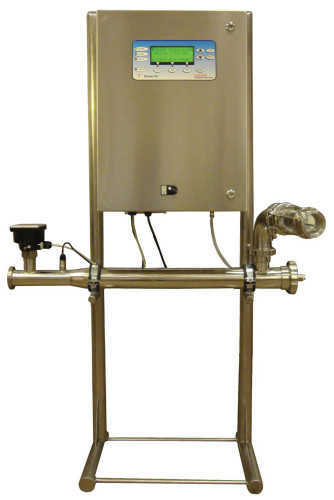 Replace Your Bladder Press Membranes with the Best - BARTLETT! It's that time of year again to prepare for harvest and replace bad press membranes with the best replacement membranes in the market...Bartlett! Bartlett is an Australian company who has been dealing in replacement fabrics for two generations and has created the most superior replacement membranes the industry has ever seen. Represented by ATP for only a few years, they have already become a well known name in North America. Make sure that you're ready for next harvest and don't have to suffer any valuable downtime to replace another OEM bag. Purchase Bartlett today! Finish Up With Malo Plus ML Bacteria from ATP! ATPis proud to offer our range of Malo Plus ML Bacteria! These highly effective freeze-dried cultures are an easy to use cost effective solution. Our unique production method introduces stress factors throughout the production process to ensure the highest level of activity upon inoculation into wine. With highly alcohol tolerant and low pH tolerant strains our Malo Plus range of bacteria can cover all of your MLF conditions. For those looking for the aromatics and mouthfeel of moderate levels of diacetyl we offer our Malo D, and for increased complexity we have a multi-strain version, the Malo Multi. Our Malo Plus strains are also appropriate for use in a co-inoculation strategy, please call for details. Replace Your Press Bladders this Season with Bartlett Membranes! Time to replace your bladders in your presses? Replace this year with Bartlett Membranes! Barlett is an Australian company that specializes in one thing, and one thing only: fabrics. So you know that they know their stuff when it comes to material strength and durability. For pricing or to have your questions answered, call your representative today! ATP will be back again this month in Paso Robles at the annual WiVi show on March 19-20. Come by the booth and see what we can offer you from crush pad equipment, filtration, centriguation and all of you cellar supplies and specialty products. We look forward to seeing you again and Cheers! Attention Central Coast...ATP is Now Local and Ready to Provide Your End of Harvest Needs! Long a large name in the winemaking industry, American Tartaric Products is now open and ready to serve all of your supply needs in Paso Robles. With the success that we have seen at our initial warehouse in Windsor, Ca., we have decided to expand our services to assist those on the Central and South Coasts, providing everything from yeasts and nutrients, to stemware, commodities and just about any equipment you need, from presses, to filters, to centrifuges! Our warehouse is conveniently located between the East and West sides of Paso Robles and ready for walk-ins or phone orders for delivery. Please reach out to us for all of your winemaking needs and let this family owned business become a part of your family as well. We look forward to being a large part of your success with unbeatable products and service. Cheers! ATP is your Stölzle stemware supplier for all your tasting room, laboratory, and retail needs! We are the LOCAL provider of premium Stölzle stemware with warehousing in Windsor and Paso Robles, CA. With industry leading pricing, silk-screen and laser decorating options, and will-call pick up available (freight free), we offer the fastest turnaround on stemware orders, with low minimums required. Stölzle is durable, elegant, and performance-oriented to show your wine as your winemaker intends. Our unparalleled customer service and standard 1-2 day delivery on undecorated stems will allow you to focus on selling your wine and building your brand. To view Stölzle products, please visit http://www.stoelzle-lausitz.com/englisch/inhalt.htm. For immediate service, please contact Doug Nickle at doug@atpglass.com or 707.975.2983. A new year brings new challenges and the current market conditions related to Tartaric Acid warrant a few words in regards to this product. As most of you are aware, we are experiencing a near record global shortage of naturally derived Tartaric Acid. Strong demand for the product accompanied by a raw material shortage in Europe has led to a double-digit percentage price increase in the past year. Further compounding this problem is the recent news indicating that the South American crop is short by 20-30%. Whenever there is a price spike on a product, consumers start to look for alternatives. In the case of naturally derived Tartaric Acid, there is indeed a Synthetic Alternative, produced in China. In the current market conditions, there is a clear cost advantage to the synthetic product. In fact, as you shop for your tartaric needs, if you come across a price that seems too good to be true, the probability that it is a synthetically-derived product is great, whether the potential supplier acknowledges it or not. In fact, this very scenario happened during the 2011 season, when several wineries unknowingly used synthetic product, prompting the TTB to create a variance in their own regulations. Aside from the synthetic material being less expensive, is it really safe? The FDA usually issues a statement in regards to the GRAS (Generally Recognized As Safe) status of the product. In the case of synthetic Tartaric Acid, FDA Gras Notice 000187 states: “Based on the information provided by the notifiers, as well as other information available to FDA, the agency has no questions at this time regarding the notifiers' conclusion that L (+) tartaric acid (alternative method) is GRAS under the intended conditions of use. The agency has not, however, made its own determination regarding this method for manufacturing L (+) tartaric acid.” In essence, the FDA is taking the word of the Chinese manufacturers that the product is safe, and is putting the burden on the users of this product to verify if, indeed, this is the case. As of today, TTB has temporarily decided to allow use of synthetic Tartaric Acid under the provisions of 27 CFR24.250. Interested wineries must submit a letterhead request for its use in domestic wines. It should be noted that European regulations prohibit the use of synthetic Tartaric Acid and, as such, consideration must be given for any wine destined for export to the EU. Going forward, TTB may propose changes to the list of approved wine treating materials and processes in §§ 24.246 – 24.248, based on approved letter requests under § 24.250, by publishing a Notice of Proposed Rulemaking in the Federal Register. They may request public comments on whether these materials and processes should be listed in §§ 24.246 – 24.248, and whether the conditions and limitations are appropriate. After considering the comments, they will publish a final rule that either adds the treatments or processes to the regulations, or concludes that their use is not consistent with good commercial practice. That final rule action will supersede the prior continual use approvals under § 24.250. Until TTB finishes the rulemaking process to list synthetic Tartaric Acid in 27 CFR 24.246, the approval for its use is temporary. At this moment, there is no timeline for when they will start the rulemaking process. Should the results of the rulemaking process be that the use of synthetic Tartaric Acid is not good commercial practice (comments from industry and foreign governments, etc. ), then wines treated with synthetic Tartaric Acid under the temporary approval would not need to be destroyed, but the approval for its use would be rescinded. If, however, the FDA determines that the use of synthetic Tartaric Acid poses a health and safety concern, it would be up to them to declare the wines adulterated and determine if they need to be destroyed. As the largest supplier of Tartaric Acid to the US market, ATP is certainly in a position to offer the Synthetic product, but before doing so, we feel it is important for all of our customers to understand the true risks and rewards with the use of this alternative. Should you have any further questions in regards to this matter, please feel free to contact us. The patented GB BevTec Portable flotation system streamlines juice and wine clarification and eliminates costly and time-consuming cold settling. With the addition of enzymes, juice is passed through the compact unit, pressurized and then either re-circulated into the source tank, or released into another empty tank. The release of the pressure causes small air molecules to "float" solids to the top while clean juice sits below the cap. The system works by injecting nitrogen or atmospheric air via Venturi into unsettled juice that has been de-pectinized. The solids that would normally settle to the bottom of the tank are now less dense than the liquid and so they float to the top of the tank. The juice is then racked and the solids handled in the fashion that the winemaker chooses, allowing you to go from receiving fruit to fermentation in a matter of hours! With the addition of the optional separator tank, the system can also run continuously at 8000 gallons/hour with no batch limitations. Only system that can be run as batch or continuous. GB units can be run with either nitrogen injection or atmospheric air. Solid, simple control panel for easy operation. Double prefilter allows continuous operation without interference. Micrometric output valve allows easy adjustment of saturation chamber, equaling more precise flows for better floats. Very little has changed in the filter pad industry in it's many years of existence...until now. Introducing BECOPAD from Begerow, revolutionizing the filtration process. For the first time, technological innovation makes it possible to combine the strictest standards for microbiological safety with full retention of valuable flavor and color - the best thing that could ever happen to your wine. Purity in taste and appearance: The pure white BECOPAD depth filter sheet shows significantly less discoloration, even after filtration of red wine. Drip losses are reduced to a minimum, and filter backwashing and re-application become much easier, which saves time and costs. BECOPAD not only stands for superior filtration and hygiene, it also enables sterile filtration without any mineral-containing constituents. It is composed of 100%cellulose material and no D.E. Because of its competition, these pads last about 30% longer than standard pads, making a true impact on your wallet as well. Dynamos High-Solids Ceramic Crossflow is Here! American Tartaric is proud to announce the new Dynamos high solids crossflow system to the wine industry. Allowing for the filtration of high solids product and lees, the Dynamos utilizes a completely different system of filtration in comparison to the other technologies available. The unique ceramic disc filtration media provide a sterile, 0.1 nominal porosity, meaning that filtrate on the back side is bottle ready, while at the same time maintaining all of the important organoleptic qualities that winemakers appreciate. All of this while achieving almost zero temperature pickup in a low pressure, enclosed system. Oxygen pickups have shown to be close to zero due to this design. Already seeing tremendous success in Europe, the Dynamos is now available and proving very successful in the North American market. Superb for smaller, higher end markets, it has also been designed to be completely modular, making it a viable option for larger producers as well. All units are small enough to be portable throughout the wineries without the use of machinery and can handle Bentonite, carbon, or anything else that would typically burden any other filter. While winemakers have used DE filtration as the most dependable means of high solids filtration, the new Dynamos allows for easier setup, cost savings on DE and automatic operation, and overall lower energy usage, making return-on-investment quick and easy to justify. For more information or to discuss demonstrations, please contact your ATP equipment sales representatives. Dynamos is completely changing the way winemakers handle their high solids and lees! Please stop by our booth at the Unified Wine Symposium in Sacramento to see the Dynamos in person! You can find us in booth L1. See you there! cooler areas, we are now seeing some of the effects from the rain in the red varieties. some splitting in most varieties still on the vines, even the hearty Cabernet Sauvignon. berries and the presence of Botrytis cinerea on grapes. have an inhibiting effect on Botrytis activity. Color-Tan comes in both a liquid and a powder form. prevent the growth of lactic acid bacteria which can inhibit primary fermentation. The recommended rates of addition is 1.67 lbs/1,000 gallons. enabling you to press sooner and remove the wine from the grape skins. American Tartaric Products, Inc. is proud to introduce two new processes to increase productivity at your winery while streamlining production. Firstly, the GB flotation system is designed to work almost immediately off of the presses to float juice solids and separate them from "clean" juice after enzymation. Imagine being able to separate the solids from the juice and start fermentation almost immediately without having to wait the typical 24-48 hours for cold settling as well as saving the energy costs involved in cooling during that time. The unit comes in a variety of sizes to accommodate any winery and can be used as a batch system on a recirculation, or on a tank transfer. 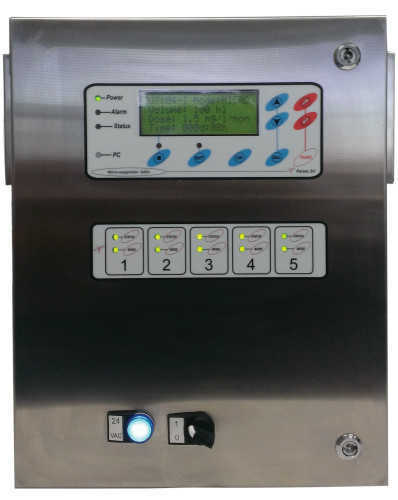 Also, GB has the unique distinction of being the ONLY float unit in the market that can be run continuously with the optional automated tank. No batches and no waiting for the separation to occur. This system also includes automated suction arms to remove the floated solids and transfer them to the next phase. Speaking of the next phase, ATP also has a brand new generation of our High-Solids Dynamos crossflow unit. Designed to eliminate the need for DE rotovac filtration, or typical tubular high solids crossflow, the Dynamos can handle any level of solids that you can transfer to the filter! Bentonite, carbon, 50-60 percent solids, it can filter it. With the use of ceramic disks that rotate around the product, the unit revolutionizes crossflow filtration while operating at very low pressures in an enclosed environment. The filtrate that is retained is bottle-ready via the 0.1 micron nominal porosity rating.The latest generation provides more automation an CIP improvements. Please contact either Ian Rickard (707-975-2916) or Rob Schuberg (209-810-3948) to arrange trials with these units to see how they can improve production and quality at your winery! Purity in taste and appearance: The pure white BECOPAD depth filter sheet shows significantly less discoloration, even after filtration of red wine. Drip losses are reduced to a minimum, and filter backwashing and re-application become much easier, which saves time and costs. BECOPAD not only stands for superior filtration and hygiene, it also enables sterile filtration without any mineral-containing constituents. It is composed of 100%cellulose material and no D.E. Because of its competition, these pads last about 30% longer than standard pads, making a true impact on you wallet as well. Founded as a family business in 1991, American Tartaric Products (ATP) is a leading supplier of acidulants, fine chemicals, specialty products and production equipment to the wine, beer, food, pharmaceutical and industrial markets across North America. two new bacteria to this range in response to customer requests. Malo-Plus HAselected for high acid tolerance (pH 3.1). these substances as it provides the most recognizable and characteristic of all MLF characters. produce noticeable softness on the palate without diminishing the varietal character of the cultivar. Malo-Multiis a mixed strain Oenococcus oeni consisting of three genetically different strains. give these strains an optimal environment.